Poteet Construction, Inc. has provided high quality traffic control services throughout Montana, Idaho, Utah and Wyoming for over 20 years. We are 100% committed to safety, reliability and quality. Our operations employees are thoroughly trained and certified bringing the highest level of skill and knowledge to your work-zone. We help cities, counties, utility companies, private companies & organizations create a safe environment from start to finish. All of our work is done in compliance with state and local agency requirements. 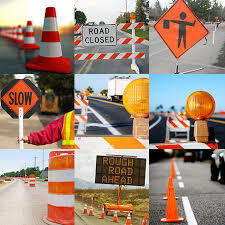 No wonder we are the #1 traffic control company in Montana! Need help understanding MT DOT’s field manual or creating traffic plans? We’re there for you. Ready to have equipment delivered? We’ll set up everything you need on time and ensure you are in compliance with all state regulations.